This text is a manual for survival in the new healthcare environment, providing a comprehensive exploration of vascular treatment options. 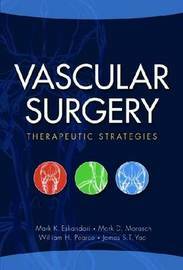 Vascular Surgery: Therapeutic Strategy reviews all of the pertinent vascular beds, including the carotid arteries, thoracic outlet, upper extremity, abdominal and thoracic aortas, and the venous system. 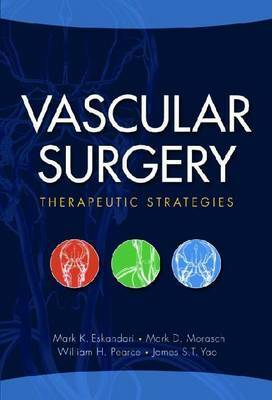 Additionally, the authors guide readers to a new level of understanding of the rationale for healthcare changes and how vascular surgeons can best position their practices to meet the challenges and demands of this new era, including coverage of new endovascular technologies and how they should be best applied. The authors are nationally and internationally renowned experts in their areas and frequent speakers at international conferences. Together their recent publications have changed clinical practice.